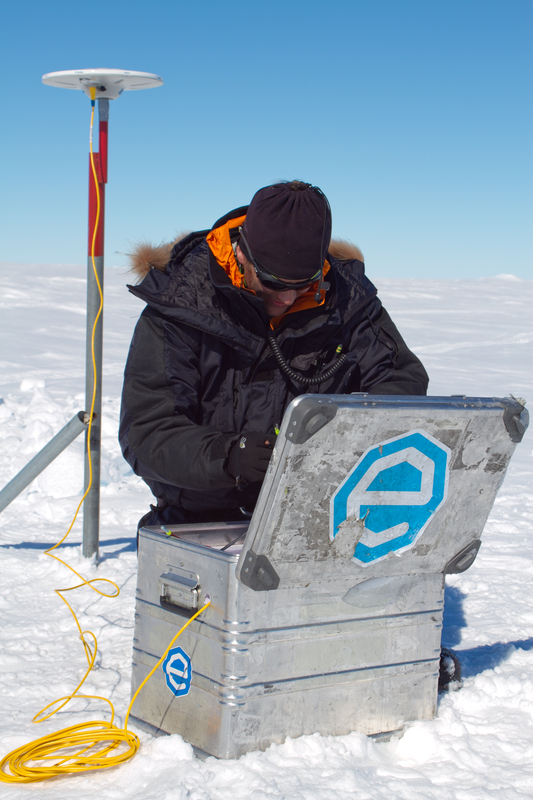 Surface elevation and ice flow can be measured with geodetic dual-phase (L1L2) receivers. These receivers enables a differential post-processing which, by using a reference station with hopefully well-known coordinates, accounts for variations in ionospheric path delays. When using such an approach, the typical accuracy for kinematic profiling is with decimetres, and for static measurements within centimeters (depending on the occupation period). A great open-source software for this kind of processing is Gamit-Globk.